Just noticed - after day change button tooltip shows previous date. The (new) date and the tooltip will be set at the same time. 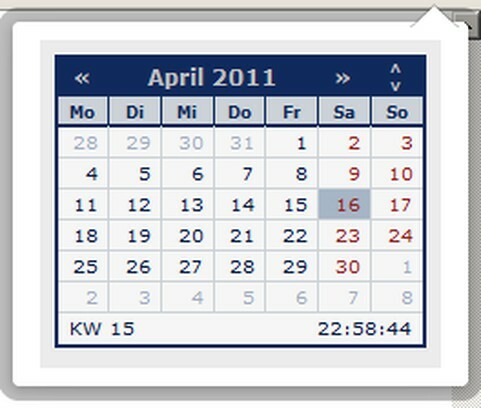 When I move mouse over calendar icon, the incorrect date is displayed. It shows 2011-6-27, but it should be 2011-7-27. When I open calendar the July is displayed(that's correct). Confirmed! This bug is fixed in version 1.0.4, which I upload currently.